The Summer sun lounger collection is a gorgeous mix of contemporary looks, utilitarian functionality and no-cushion-needed comfort. The Incredible fabric called Batyline provides resilient springy comfort, while maintaining air-flow, resistance to chlorine and other environmental factors and incredible good looks. 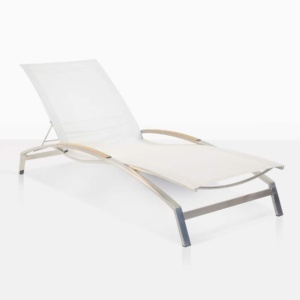 The lines on this slim sun lounger are complemented by the cooling shade of taupe on the seating surface, suspended within a spectacular, micro –polished marine-grade 316 stainless steel frame, with adjustment to suit your individual needs. 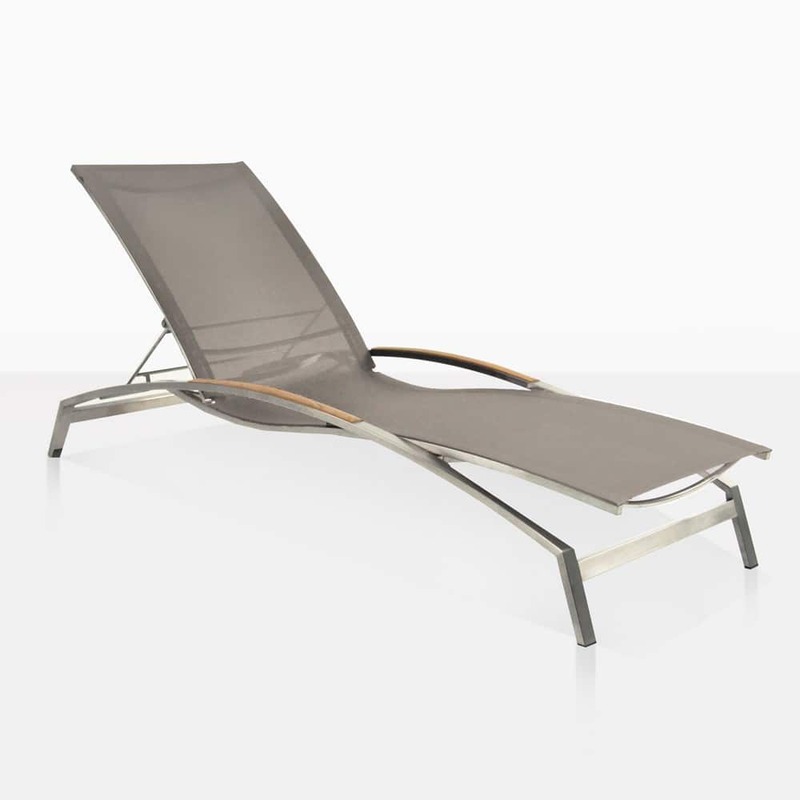 The final gorgeous touch is a spectacular addition to the lounger: a thin teak piece in place on each of the arms of this stunning outdoor lounger. White Batyline® Mesh brings elegance and style to your outdoor space. 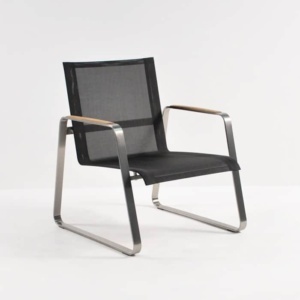 It is easy to clean, has durable synthetic mesh, with stainless steel and A-Grade teak.